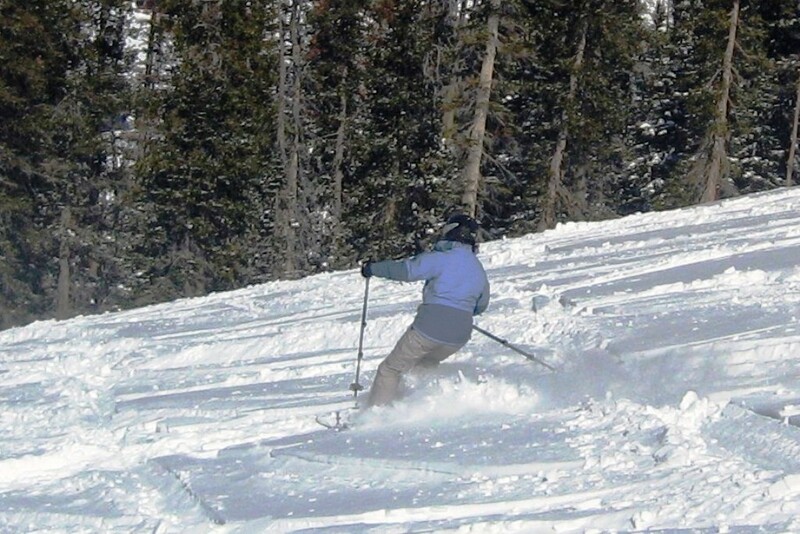 Even though other states (California, Utah, and Vermont) have made modest gains over the past decade or so, Colorado remains the hallowed land of the American destination skier. 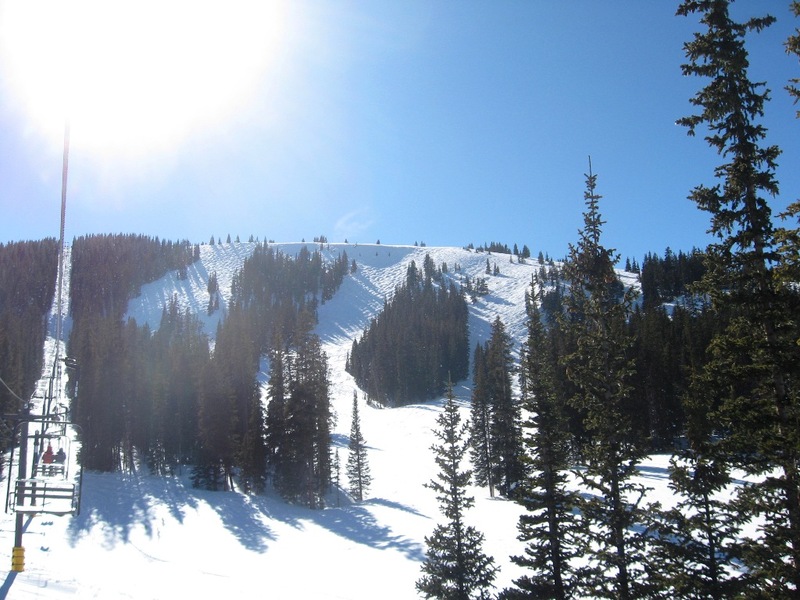 The concept of a winter vacation at one of the many resorts along the I-70 corridor west of Denver is so firmly entrenched in the minds of out-of-state visitors, and has been for decades, that it’s difficult to imagine anyone deposing the Centennial State as the king of annual skier revenue in the United States. It’s at the point where the region operates on a kind of marketing auto-pilot, with the skiing masses continuing to make their annual pilgrimage there, even though other destination areas may compare favorably to or even surpass Colorado in many criteria. They’re well off the radar of most non-Coloradans because most of them don’t have as much vertical, as many skiable acres and marquee steeps, or anything resembling resort trappings. In exchange, they offer an antidote to the industrial tourism you’ll find at Vail Resorts, Aspen Ski Company, and the others: shorter lift lines, less crowds, no sprawling base villages, close-in parking, and reasonable prices. You’re there to ski, nothing more. 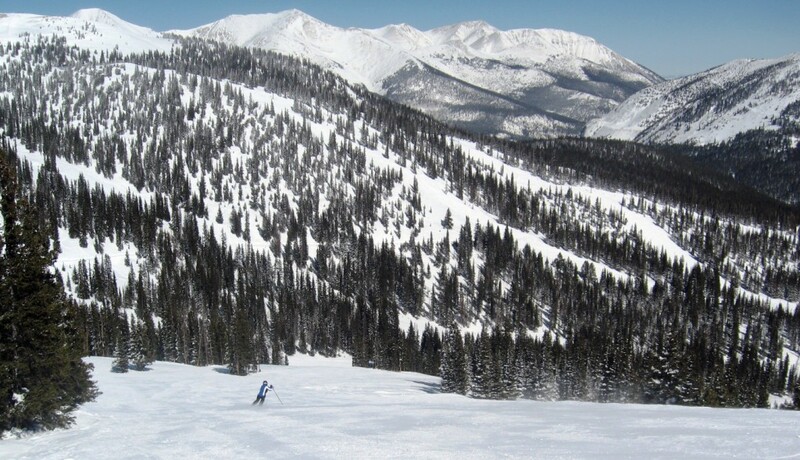 Located in the Sawatch Mountains, 115 miles directly west of Pueblo, Monarch Mountain is a perfect example of a hidden gem. Only 1,170 feet tall (short even by East-Coast standards), most out-of-staters who’ve flown in don’t even consider stopping here. 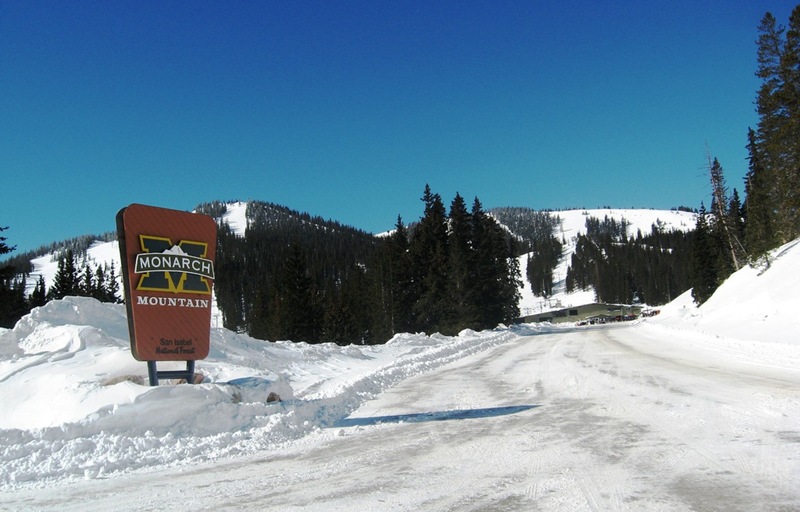 Instead, Monarch’s main audiences are drive-up skiers from Colorado Springs and Pueblo, along with flatlanders from neighboring western Kansas, Oklahoma, and Texas. That’s why you’ll see a fair amount of church-group buses from these regions in the parking lot. But if you can put aside your need for big vertical and thousands of acres of terrain, Monarch has a lot to recommend it. 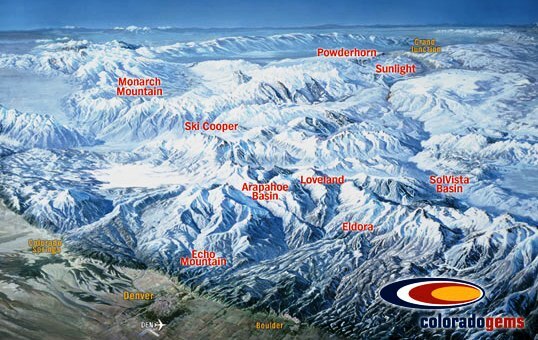 For starters, it averages 350 inches of annual snowfall, putting it behind only Wolf Creek, Silverton, and Loveland as one of the state’s most consistent lift-served snow bets. Moreover, Monarch’s 670 acres have plenty of variety: beautiful (and often untouched) glades, short-but-steep bump runs, some bowl shots, and lots of rolling tree-lined cruisers. And up on top of Monarch Pass, you’ll see nothing but mountains and blue skies. If you want condos, convention centers, and other slopeside accoutrements, you’re in the wrong place. About the only incursion from the outside world is a Starbucks in the base lodge — easily avoidable if feeding the corporate beast isn’t in your nature. 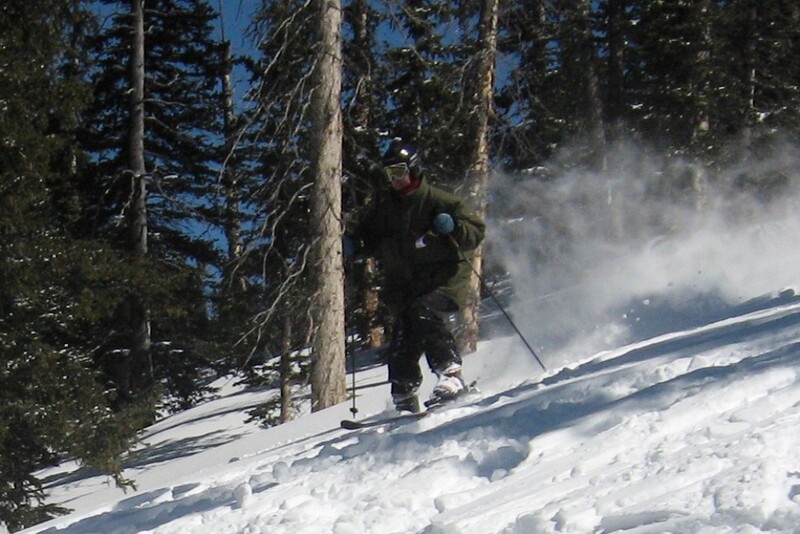 In addition, since 2005, skiers and snowboarders have, via a 15-minute hike from the Breezeway lift on the far skier’s left, gained access to Mirkwood Basin’s black-diamond chutes, cliffs, and tree skiing. Mirkwood was formerly part of Monarch Snowcat Tours, (1,000 acres of expert steeps, trees, cliffs, and bowls on the mountain’s backside), but now belongs to the ski area’s lift-assisted arsenal. The two days we skied at Monarch were about as yin and yang as it gets. The morning of our arrival, a strong storm blew in, creating near whiteout conditions. With barely 20 yards of visibility, we stayed in the well spaced trees and scored plenty of knee-deep shots. But by 3 pm, the 35-mph gusts and blowing snow had frozen our faces off, so we headed in and hoped that it’d clear up overnight, which is exactly what happened. From bell to bell on Day 2, we had squatter’s rights to a foot of bone-dry powder under deep blue skies. Even at 3:30, there were so few people on the hill that we were still finding untouched or partially tracked lines on many of the main trails. So if you’re in the mood for a cool non-resort on your way between Denver and Crested Butte (the Big Show in this region), Monarch delivers everything you need: low-key ambiance, spectacular views, entertaining terrain, excellent conditions, untracked trees, and, oh yeah, possibly the best sandwich I’ve ever had at a ski lodge: the vegetable focaccia special at the Sidewinder Saloon. Last night I found out I may be going to Monarch in January. A friend of mine’s dad has a whole bunch of frequent flier miles that expire in December. We were originally going to go to Crystal and Baker in WA to get some of the El Nina stoke, but he doesn’t have enough points to take us that far. I was lucky enough to get a half day cat skiing there at a nice discount. If you’re there, and conditions are good (it has snowed in the past three to four days with no thaws) check to see if they have seats open for the afternoon – you will not be disappointed. No crowds. lots of snow, good trees – my kind of ski hill. I came close to dying there one day. I was blowing through the trees and took a branch off with my head (Thanks, lord, for the helmet fad!) and was knocked out for I’m not quite sure how long – probably not long, but, still. As I was leaving, I watched the ski patrol rush out of the place because they were closing the pass due to a storm. They wouldn’t have found me for a day or two when they finally realized that old Subaru was still parked in the same spot in the lot for a while. My original plan was to do a day of cat skiing on the way to or from Crested Butte, but it was booked solid and no one canceled at the last minute. Luckily, as you can see, we didn’t have to go hunting for lift-served powder. Nice article. Remember, if you plan to come out and ski Monarch, bring your snorkel….for real. This is the only place I have ever skied where the powder was soooo deep that the only way you could tell if people were skiing or riding was whether they had poles in their hands. It is also the only place I have ever seen people skiing with snorkels. No yelling “yahoo, or yeah” either……you couldn’t open your mouth, or you would choke to death on super dry powder. It’s never a bad idea to wear your avie beacon after a big dump. Your country is very beautiful….i like snow. But, may never see it. Nice post. I lived in Salida for 3 months this past winter. Monarch is a great mountain & the people at the Mt and in town are most friendly I’ve met in the country. Salida is a great location, ski in the AM in pow and Mt bike in the pm in 50 plus sunny weather in town. Monarch is even better when they close. They closed last year with about 3 feet of snow on the hill and I skinned & skied for weeks. Skinning across the divide is breath taking (beauty & lack of O2). Salida is a great jumping off point to most of the great ski areas in CO. It’s 1.25 hours to Copper/ Breck/ Abasin/ Keystone. 1.5 to CB, Vail, Wolf Creek. The snow mobile skiing is so much fun. Sleeping in Salida (7000′ ele) is great. I get a better nights sleep below 10K. We’re moving out for good eventualy. I love it there.